In preparation for tonight’s Fiat Italian Heritage Night, the bullpen played a little makeshift bocce baseball during the rain delay in Atlanta over the weekend. Accordions, string bands and opera – oh my! 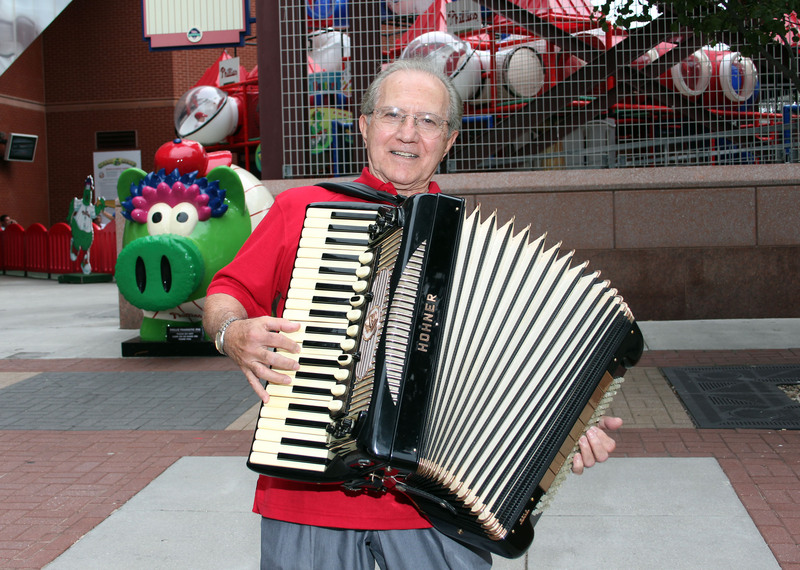 Catch this guy, Joseph Soprani aka accordion player extraordinaire, roaming the concourse of Citizens Bank Park and spreading musical cheer along the way prior to the start of the game. 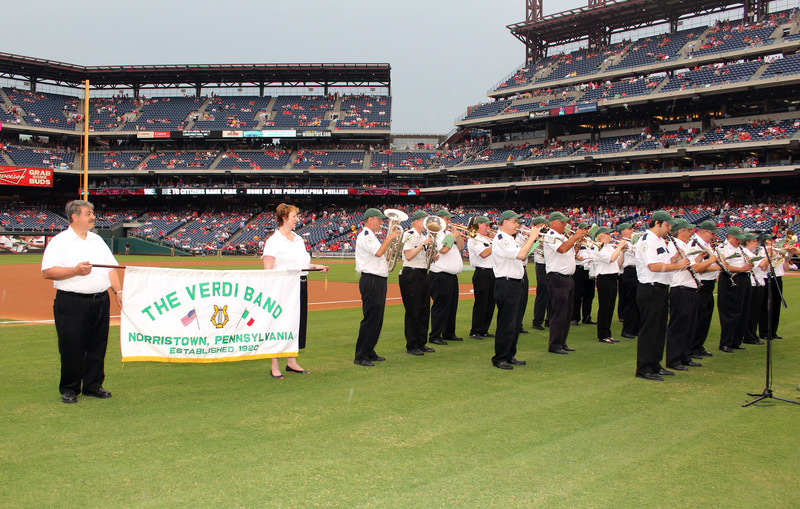 The Verdi Band will also perform on-field during pregame to the delight of your ears. Also happening: OperaPhila will perform the national anthem and members of the Philadelphia Opera Company as well as the Munier Mandolin Orchestra will perform at the entrance gates. Adorable mascot inside an also adorable vehicle. Can’t go wrong really. Watch them take a lap around the warning track prior to the game. Fiat will also have displays outside of the entrance gates so you can get extremely close to these Italian automobiles. In addition to the musical stylings and cars of Italian origin, there will of course be food! The always-delicious sausage, peppers and onions sandwiches, pizza, etc. – you know, the usual suspects – will be served in their normal ballpark concession stands. But some specialty, dare we say delectable, foods will also be available to the delight of your taste buds. Homemade cannolis as well as the South Philly dog, which is a hot dog with broccoli rabe, long hot peppers and sharp provolone cheese will be served at the Italian Night Stand next to Tony Luke’s in the Alley Brewing Company window. 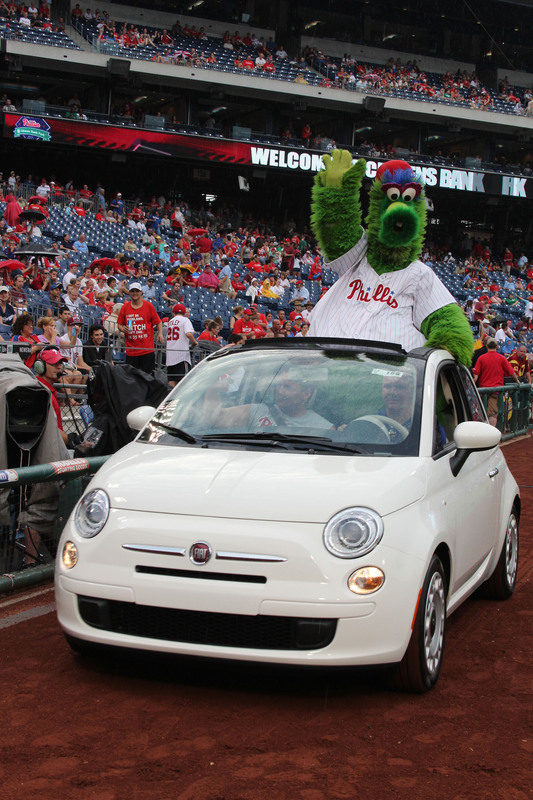 So find your inner Italian Stallion and head over to the ballpark tonight for what we hope is a virtual transportation to beautiful Italia for one and all! The All-Star break has come and gone. Yes, the AL won but it was overall a great game. Check out All the GIFs you need to see from the 2014 #ASG. Anywho, the conclusion of the All-Star game and week of festivities means the second half of the baseball season is officially upon us. But don’t worry – there’s still plenty of Phillies baseball to come as the summer continues! First, let’s take a moment to congratulate our very own Phillies All-Star second baseman, Chase Utley, for his performance during the #ASG. His RBI double, which was just shy of being a home run, in the second inning got the National League on the board…also, his dance moves are now legendary. Overall, we here at the Phillies are really proud of The Man, aren’t you? We really love a good theme, don’t you? Let’s look ahead to the upcoming Phillies theme nights and promotions that lie ahead for each and every one of you. The Phillies front office has been hard at work putting together some incredible events – literally there is something for everyone. 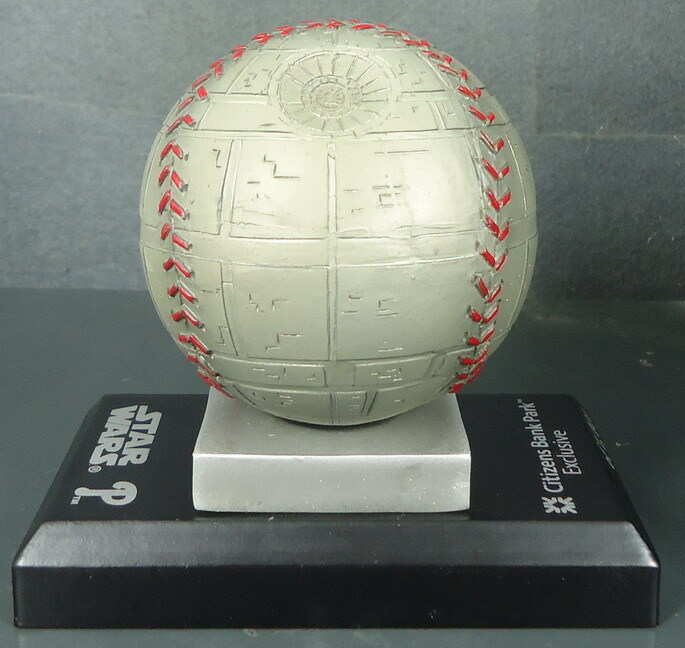 Grab your light saver, get dressed up as your favorite character and head to the ballpark for the inaugural Phillies Star Wars Night at CBP on Friday, August 22! This theme night also benefits Stand Up 2 Cancer so we’re obviously hoping to use the Force for good over here. Clearly. Better hurry – tickets are going fast and only the first 1,000 fans to purchase this special ticket will receive the awesome collectible giveaway, which happens to be pictured above. For country fans of all ages (and who isn’t a country fan nowadays? ), this night’s for you. 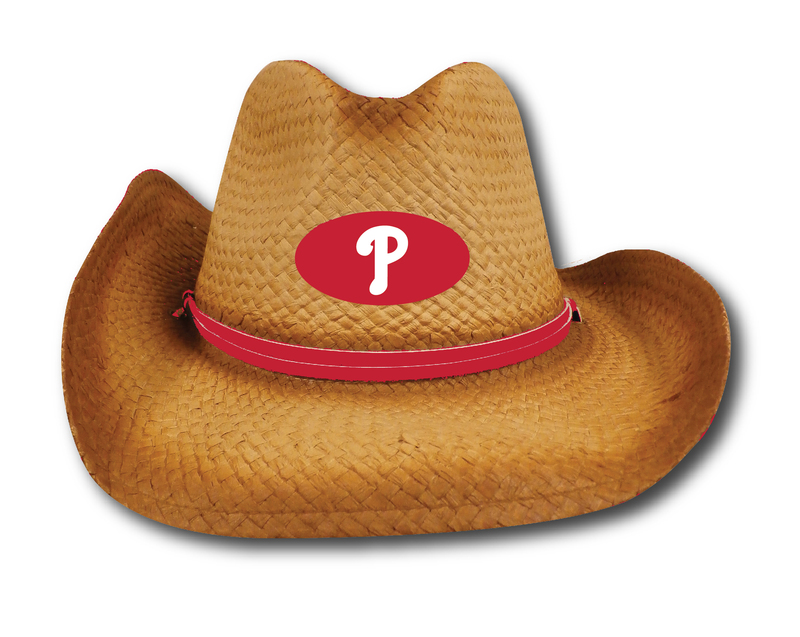 Grab your cowboy boots and come claim your own Phillies cowboy hat for an evening of great country music, entertainment and baseball – c’mon, what’s more American than that? Be a part of the first-ever Phillies Country Night on Tuesday, August 5th! 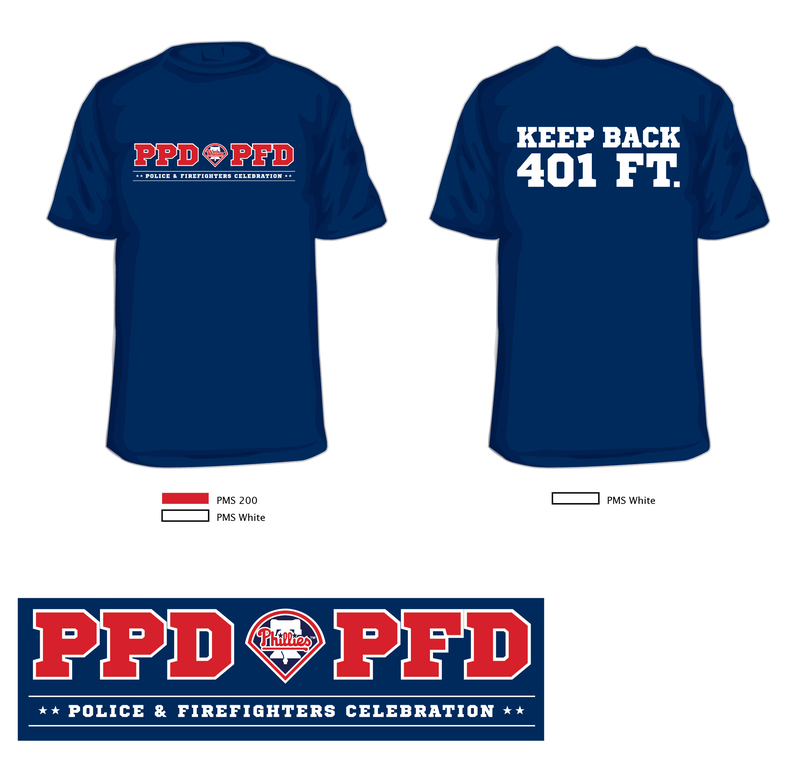 Join all the real-life heroes aka Philadelphia Police and Firefighters being celebrated at CBP on Thursday, September 11th. Those who purchase this theme night ticket will also receive this t-shirt, which is pretty fantastic. These are just a few of our favorite upcoming theme nights but there are tons more. Which are your favs? Most of the team went back home for a mini vacation during the All-Star Break to see friends and family but A.J. Burnett headed to the Jersey Shore with the fam for his break – good times! Until next time! Now let’s get back to baseball!